To commemorate and thank the talented chefs and restaurants who have supported Pier Del Sol for many years (and some since the first event! 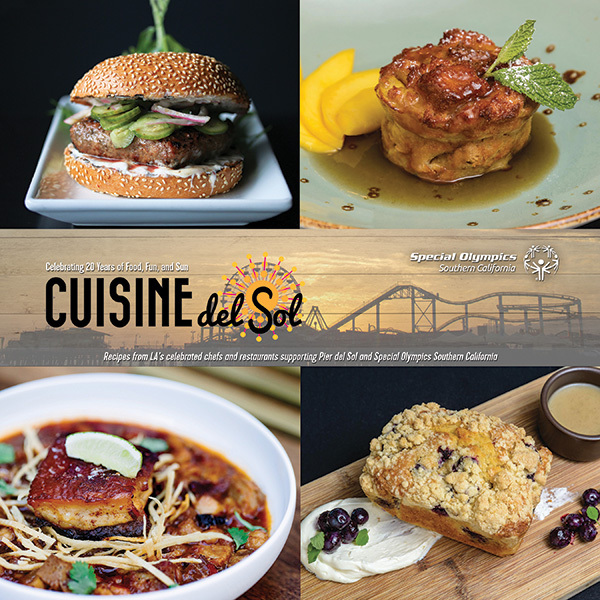 ), Special Olympics Southern California has put together a cookbook featuring 28 Pier Del Sol chefs and 31 recipes. The book also features the history of the event, photos, information about our athletes and movement, and a special foreword from Maria Shriver. Proceeds benefit Special Olympics Southern California athletes, so purchase your cookbook today and bring it to the event for the chefs to sign!